As y'all are probably aware, I love The CW's female driven dramedies. I enjoyed No Tomorrow before it got canceled. I did a whole series of posts for my favorite show of ALL TIME Crazy Ex Girlfriend. I watch Jane The Virgin regularly (though I've never posted about it on my blog 🤔). I even watch Riverdale! I'm a CW fan, and that's why I was excited to check out this new show and I really enjoyed it. When I watched No Tomorrow, I could kind of tell why it got cancelled. I feel like it took some time for No Tomorrow to gain its footing. The earlier episodes were weaker than its later episodes. With Life Sentence, I have a lot of hope. The pilot was great! It was funny, and shocking at the same time. I was shocked when they revealed that Stella's mom was leaving her dad. When they mentioned that and cut to commercial break, I was like, "oh snap, it's about to go down," which is exactly what I want to be feeling during a drama. It made me go: oh, how is everyone going to deal with this new development? I wanted to stay tuned and find out. The pilot introduced some interesting characters and relationship dynamics. During the opening scene when Stella and Wes were telling the story of her cancer and how they met, I thought it was really good character development when Wes says, "And she was afraid to die," and Stella says, "Don't say that, I wasn't afraid to die." It shows that their relationship was no equal. It was a great way of SHOWING us that, and not telling us that. After that scene, I thought that Wes and Stella were sure to break up at least once during this season. Stella and Wes don't really know each other and that can really destroy a relationship. But by the end of the pilot, I changed my mind because it was really sweet and touching when Wes said that he was always going to love her for the rest of his life. They really do love each other. They are willing to work on their relationship like adults. Wes promises to be there for her and that's the best promise there is for a committed relationship. How did Stella not notice any of the secrets her family were hiding from her? It just doesn't make sense. A tight-knit family all deciding to keep multiple secrets from one member of the family? It's impossible. As said in Lucy Hale's previous show, "Two can keep a secret if one of them is dead." Also, the way all the secrets came out shows that the family isn't good at keeping secrets. Stella walking in on her mom and her new lover? We know Stella's mom still wanted to keep that a secret. So why now just go kissing someone on your porch in broad daylight? I get that this is a TV show and they had to introduce all the secrets to the audience but still, it doesn't make sense. When Stella threw that party for her doctor, the family had ONE job and that job was to look sane in front of their guest. They could have kept it together. They have been keeping it together for so many years in front of Stella and they couldn't do that for 30 minutes. I call BS that this family can keep any secrets from anyone. I was NOT happy with the reveal that Stella's sister wanted to be a writer. That was out of left field! Is there something wrong with wanting to be successful at your office job? It would have been much cooler for her to balance raising her children and being a success at a high-powered business career. Being a stay at home writer with kids just doesn't break gender stereotypes as much as being a successful business women with kids. When we saw her not enjoying motherhood as much as she thought, I thought breaking gender stereotypes is what the show was going for. Sorta like The Awakening by Kate Chopin. 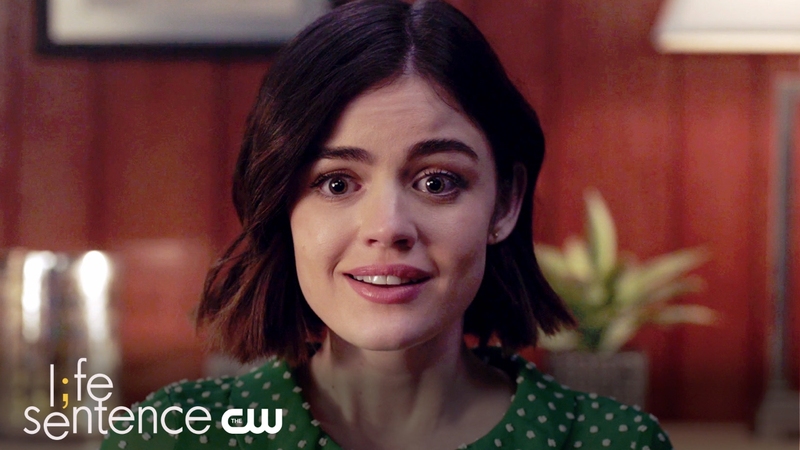 Life Sentence is a deep show. On the surface, it might not look that way but I like what it is trying to say about life, love, and society. In this respect, it is a little similar to No Tomorrow, Both No Tomorrow and Life Sentence explore what it means to live life. Living means both the good, the bad, and the mundane. We are all going to die and no one will live a perfect life before they do (like what Stella was trying to go for). Our relationships will be complex and tough. We will spend days working jobs we don't like wasting the minutes of our limited life. Change and surprises will constantly happen that will throw us off our feet. We have to be strong enough to face whatever life gives us, and brave enough to enjoy both the good and the bad. Overall, Life Sentence was a good show and I am looking forward to what comes next. I will be watching every Wednesday! I wrote a joke article titled, Is Stella From Life Sentence and The Mother From How I Met Your Mother The Same Person? [CONSPIRACY THEORY], check it out if you want to read something fun.